Our second podcast with Packet Pushers is now available! 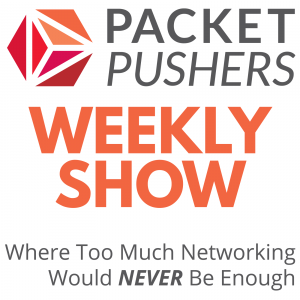 This time around, our own Hansang Bae, Josh Dobies, and Kevin Glavin join Ethan Banks and Greg Ferro of Packet Pushers to discuss all things SD-WAN. SD-WAN is emerging as a game-changing technology at the frontlines of the enterprise—branch offices, manufacturing sites, retail stores, consulting offices, and all the other tens, hundreds, or even thousands of remote locations where business must get done. For IT and business leaders, SD-WAN offers cost-effectiveness, agility, and levels of automation that are essential when accommodating dynamic business and application requirements. But even with SD-WAN, certain challenges remain, including application latency, lack of visibility into application performance, and unprecedented complexity when routing apps over the optimal network path. What organizations need is a holistic SD-WAN solution that is business-defined (not network-confined). Tune in to the podcast now to hear how an application-centric approach to SD-WAN puts IT at the forefront of business innovation. And get an in-depth preview of Project Tiger, Riverbed’s engineering effort that will dramatically simplify how IT manages hybrid WANs. What else is discussed, you ask? Want even more from the podcast? How about a free t-shirt? The holiday season is upon us, so we’re also throwing in a free T-shirt for our podcast listeners! (Well, unless you already received one. In that case, the podcast will have to do, but either way, you’re coming out way ahead!) And if you haven’t yet, be sure to check out our first podcast with Packet Pushers, conveniently located on the same landing page I’ve linked to above.